Meet the team here at Slobberlicious: Clare, Scoobs and Mobi. Scoobs is the reason our business Slobberlicious began and who was our Chief Taste Tester until he passed away in July 2017. 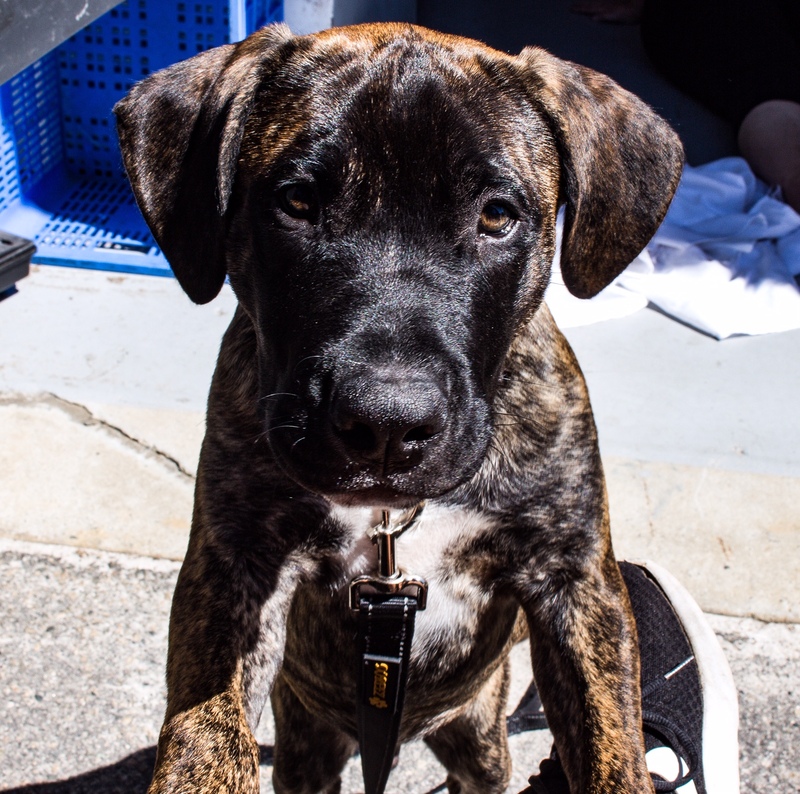 It took 18 months before being ready to have another dog, that is until Mobi was advertised as an 8 week old puppy in rescue waiting for his forever home. Mobi has settled in well and he is now our new Chief Taster. He proudly wears the Chief Taster Badge with honour. I started making treats at home back in 2012 when Scoobs was diagnosed with a severe allergic reaction to gluten and I couldn’t find any products which agreed with his sensitive tummy. Scoobs was a Great Dane, which meant anything I found that he could tolerate was expensive and was in short supply. With most products coming from overseas I couldn’t be sure 100% of what went into them and worried constantly that he would have a reaction from being fed something that wasn’t what it claimed to be on the packet. Since those early days of making treats by hand on the weekend, whilst Scoobs lounged about on one of his many dog beds waiting patiently for his mum’s cooking to be ready for tasting, I have moved the business out of my home kitchen into its own premises with an industrial kitchen. When we moved into our new premises in Welshpool, Western Australia I decided it was time to rebrand from our original business name S&P Decorated Pet Cakes and Treats to Slobberlicious. Whilst the business isn’t named after Scoobs anymore his legacy remains with his paw print providing his stamp of approval in our logo. We hear similar stories about food intolerances from our customers, and want to help provide yummy, yet healthy products that can be enjoyed with no tummy or skin reactions whilst giving you peace of mind that you know exactly what is in the products. We are proud that we make all our products by hand to order and have also branched out to other products including cakes, beverages and wellness products; all being gluten free and only using human grade local WA ingredients. 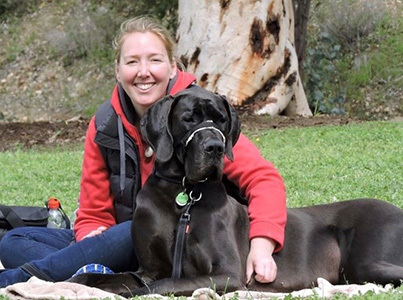 When I started the business I relied on our friends and fur babies in the Great Dane Lovers Association of WA (GDLWA) to provide me with honest and sometimes very slobbery feedback on my products. Without their support we wouldn’t have been able to grow into the business we are now. As a thank you to the club we provide sponsorship to GDLAWA by providing a percentage of our sales towards their rescue and rehoming efforts. With all this in mind Slobberlicious wants to provide healthy, gluten, additive and preservative free products for your furbaby.